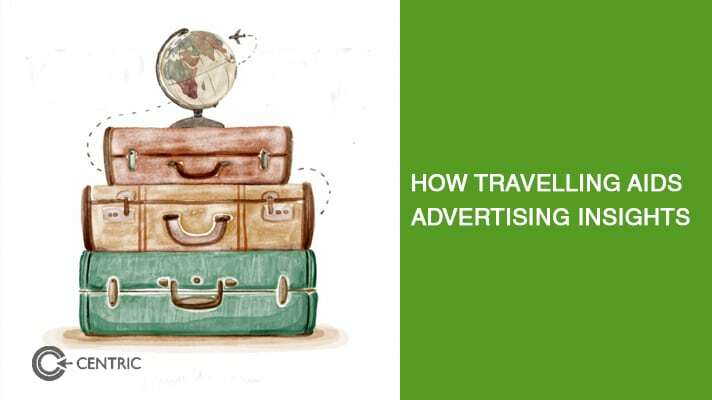 One thing that most advertising people do but at the same time do not do is travel. Although for ad shoots or photography and any meeting with clients or even regional offices of their own agency networks, within and outside country. Their scope of work is very focused and a lot of times they only visit very famous monuments to experience their culture, heritage or even to brag at times. Even I started the same when my advertising career started; I used to frequently visit my client in another city. Most of the time it would have been a day trip leaving home at 5:00 am and coming back at 9:30 pm where the only thing I could experience in that was the change of weather or less traffic from my own city. But later my era of official road trips started, which allowed me to have more time to observe situations and people around me, furthermore, also interact with them. This was quite awkward at the beginning as I have seen most of us “Mad Men” to focus on certain individuals only from the other side of one vision glass. For me, a new chapter of greater learning started and I realized how different our consumer thinks and how simple their reasons are and not to forget, how candid they are if you don’t tell them what do you do and who do you work for. That is the time when they will tell you the truth about what they love or hate about it. How they found the latest award winning campaign and how disconnected it was for them to rationalize what the heck was going on or the opposite of it. I did it by traveling in public intercity buses first and then talking to cab/rickshaw (tuk-tuk) drivers and at times sitting in small tea shops listening to consumers talking with peers about their perception of this world! Out of such experiences, one is about a tobacco product I was working on which offers “value for money brand” to socioeconomic (SEC) class C. So, I was sitting in a cab, in interior Punjab and I saw cab driver smoking the brand I work on and I started talking to him. Me: Why do you smoke this brand? Isn’t it bad? Cabby: It is not that bad what other people talk about! I have been smoking it since 90’s in my adolescence and I still love it. Me: So, what do you love about it? Cabby: Their commercial with “a character” personification always made me feel like I am special and I still have that figure in my mind when I smoke it. Me: Ahan! So you never found any problem with this brand whatsoever? Cabby: There is one major problem! Company changes its taste a lot. It hits my throat at times and I realize the taste is not the same and the new dancing video is very bad (I was really proud of that video and it was a shock for me that he didn’t like it at all). This was quite interesting because I knew the company is having a lot of problem in terms of keeping loyalty. I realized the issue was not the taste but the very strong strategy of competition which was making my client go berserk in R&D and was thinking in completely opposite direction. Nonetheless, their new communication was also going in a complete opposite direction, making the consumer feel disconnected. A similar incident I experienced in which a completely SEC A consumer living in a huge mansion in an extremely posh area of Islamabad was smoking a low category cigarette. I was shocked and my curiosity led me to ask him why smoking this low brand when he can afford and smoke the premium cigarettes. He replied, Bachay! (kiddo) this is available everywhere, strong and has a consistent taste. Price is irrelevant for me as I am more inclined towards taste. Such things are not just happening in Pakistan but also other places in the world, In my recent trip to the middle east. I was listening to few teenagers while on my way back about how they consider OS of different mobile phones as the main driver of their smartphones, without realizing the fact the all of them were talking about minor variations of android OS. With this curiosity, I asked them about why are they not considering the hardware aspect of their smartphones too? To my surprise, the answer was technical. The kid said, most companies make their hardware based on OS. But in rare cases such as the brand held by that kid, customizes OS based on their hardware. So eventually the functionality of hardware is also dependent on OS. I am sure his perception may have the fragment of reality but it’s not entirely true. However, such perception causes huge influence while he is going to purchase a new phone or even going to recommend someone to get theirs. I am sure I can quote multiple experiences with several brands that I had with the consumer but sadly those will be nullified keeping the “Sample size” of my research. But I really urge my fellow mates to travel as often by road as possible. Interact with people who are using your products more on a personal level. I guess it’s time for me to plan another trip soon.